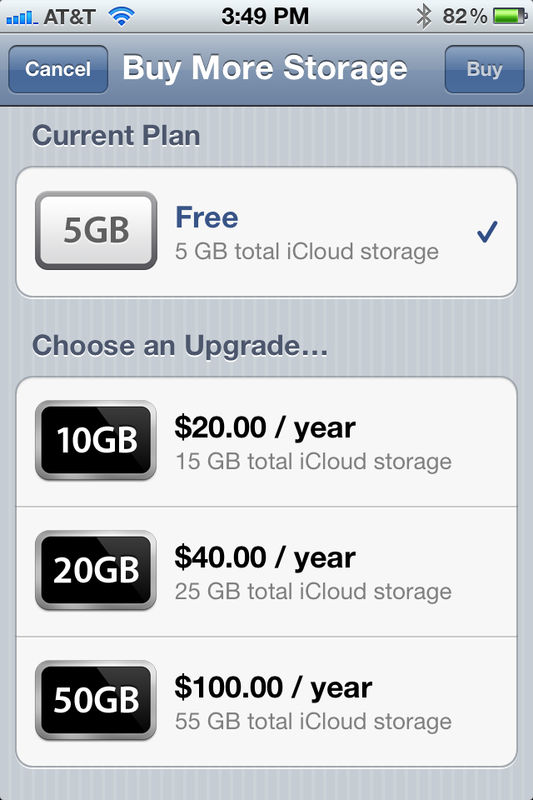 Apple has enabled the storage upgrade option of its iCloud services on iOS beta devices today, in conjunction with the activation of iCloud.com. 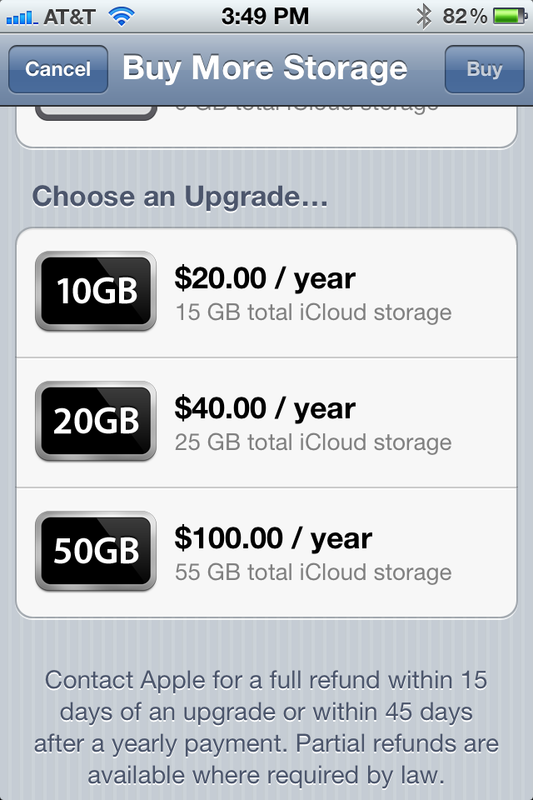 The storage upgrade options range from 10GB up to 100GB, reports 9to5Mac. Apple’s iCloud storage provides space for device backups, storage for music and photos, as well as a place for Apple’s iWork apps and other third-party apps to store documents. Apple has stated that your music and photos will not count against your iCloud storage, making this more of a place to put app data and backups than anything else. Items that come through your iCloud.com email address will also be stored here and Apple has stated that if your storage goes over-limit, your email will be bounced. At the bottom of the upgrade pane a set of terms are presented that explain that a full refund will be given within 15 days of a standard upgrade or within 45 days of an annual renewal. There is also a provision for partial refunds where available. Users will be able to purchase these upgrades directly from the iCloud menu on their iOS devices running iOS 5 when the iCloud service officially launches this fall.